We are hiring! 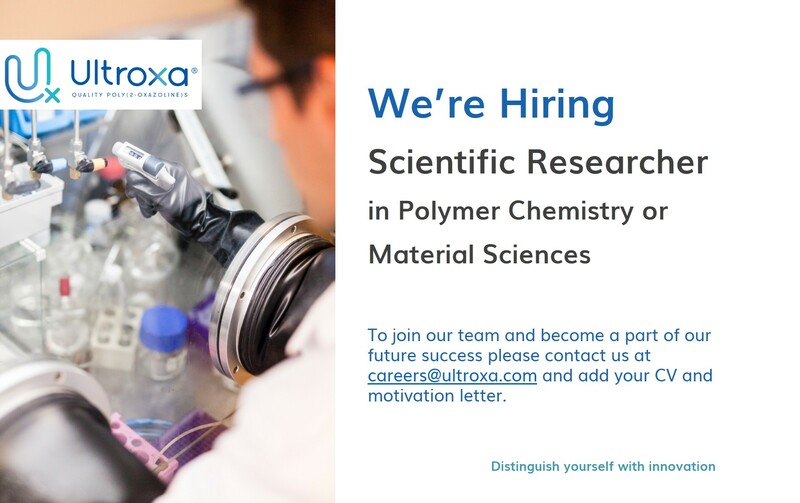 These are exciting times at Ultroxa, the world of innovative polymers is blooming and we are looking for a positive person to come and join our team as an R&D Scientist. If you are constantly striving to achieve, want opportunities to be creative, and to own your personal progress, then we are the company for you. You will have plenty of possibilities for personal development within our fast growing organization. Intrigued to know more? Have a look at our offer below. Job Offer Ultroxa: R&D Scientist.